Keep it simple, keep it comfortable: that’s the logic behind the easy-to-wear Poivre Blanc Microfleece 1/4-Zip Mid-Layer. This ski mid-layer for girls can also double as an outer layer for wear off the mountain, making it a great addition to her ski trip suitcase. 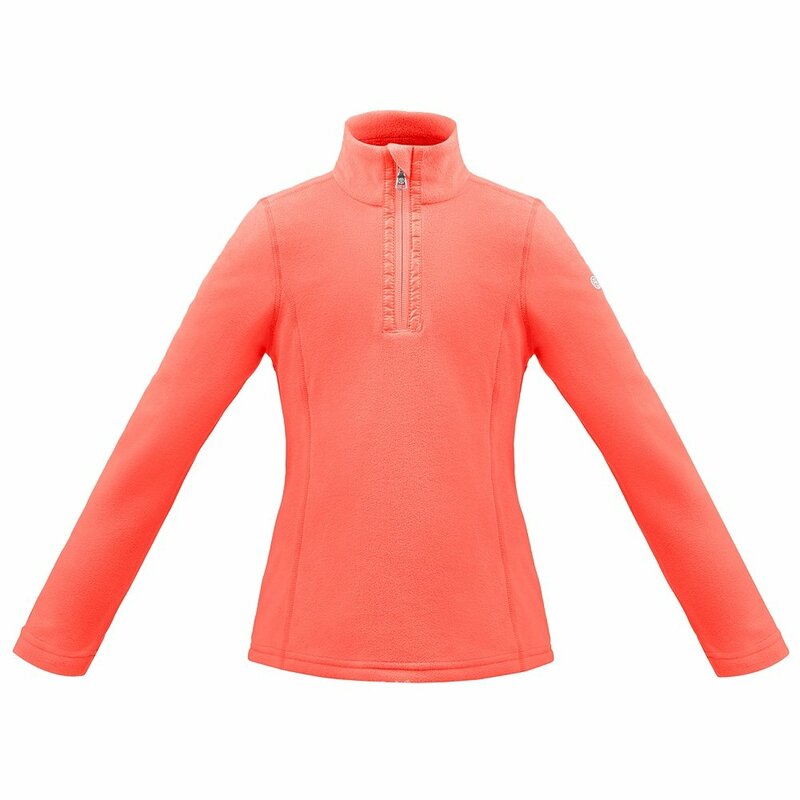 The mock-turtleneck neckline keeps chilly winter winds off her neck, and since it has a 1/4-length zipper, it can be pulled on and off without the need to remove her helmet. The Poivre Blanc Microfleece 1/4-Zip Mid-Layer is a great everyday layering piece and a smart staple for her winter wardrobe.